the cities of Art of Rome, Florence, Siena, Orvieto. km from Orvieto and 150 km from Fiumicino Airport (Rome). thanks to a large number of country roads and lanes. mountains and the sea, has several faces, colors, perfumes, flavors. MAGNOLIA - mq. 62 - (4 persons) - Price Eu 430/780. PALMA - mq. 65 - (4/5 persons) - Price Eu 460/820. to go in) at visitors a disposal. Ercole port, Giannella, Ansedonia, Talamone). large number of country roads and lanes. = Golf Course - 20 min. = Hunting - 15 min. == Health Spa / Massage - 10 min. == Museum / Galleries - 20 min. and coats of Arms- Signs of Art- Respect of Love Walking distance. 10/15 August) - 8 min. conditions applicable at the time. deposit of the total location price. ===The full payment must be given at the arrival. do not employ the small bed for baby. For 1 bed baby Euro 25 for week. For 1 bed adds Euro 30 for week. fitness-centre use and bedroom and bathroom linen. additional expense in addition to the amount due. deposit paid in cash and in EURO to the owner or his representative. additional costs that were not included in the rental price. 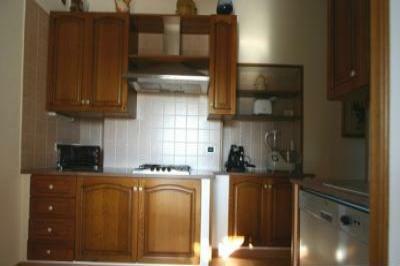 - The apartment GLICINE (maximum Euro 50). - The apartments MAGNOLIA, GERANIO, PALMA (maximum Euro 30).